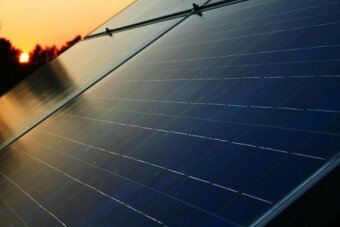 A new report shows Australians have pounced on ways to save on their electricity bills by installing solar panels at an extraordinary rate. The Climate Commission's Solar Energy report found more than 10 per cent of Australians, or 2.5 million people, use solar power for their homes. It found there are now more than 1 million rooftop solar systems in Australia, up from 8,000 in 2007, with most uptake in the mortgage belt suburbs of Queensland, New South Wales and Victoria. Climate Commission chief Tim Flannery is calling it "a solar revolution". Most uptake in the mortgage belt suburbs of Queensland, New South Wales and Victoria. "The things that have happened over the last five years in solar and in Australia weren't anticipated by anyone," he said. "If you look at the government projections as to how the solar industry was going to develop, they were suggesting it would grow to the point it is now only by 2030." Professor Flannery says it is just the beginning, with solar thermal power the next frontier in the renewable energy revolution. "It has added up to a revolution because what it’s done is put in the hands of the people the capacity to generate their own power," Professor Flannery said. But he says it is not wealthy people installing solar panels. "They are people on fixed incomes, particularly who don't like this idea of getting a bigger and bigger electricity bill every year, and people with large mortgages," he said.